Farm consultants have detailed information about their feed supply. They have the precise nutritional content of each food product in their inventory. Currently, consultants travel from farm to farm to discuss how to improve the health and productivity of each herd, and suggest the most appropriate animal feed. Farmers are in tune with their livestock, and are usually the first to notice when problems related to feed need addressing; a drop off in milk production, failure to thrive, or loss of condition. Presently much of their discussions with consultants are based on intuition and circumstantial information, not on hard fact backed by actionable data. But it no longer has to be this way. SCiO, developed by Consumer Physics, can determine the nutritional content of animal feed as well as the protein and fat content in milk. 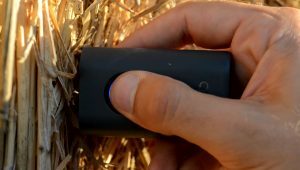 SCiO is the world’s first lab-grade micro spectrometer that actually fits in the palm of the hand. Ultra portable, affordable, and so simple to use that experts and non-experts alike can easily adapt it to any environment. 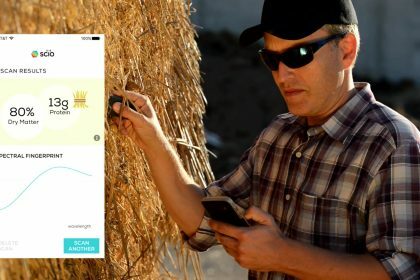 Using SCiO, farmers can get hard and fast facts in real time about the animal feed in their silos as well as the quality of their milk supply. Farmers can collect massive amounts of data on each and every one of their cows with the single click of a button – her specific diet, the fat content of her milk – just by using SCiO. Real nutritional analysis on location – in the silo, in the grain bin, feed mixer, or in the field. This data is analyzed and sent to a smartphone app – with results returned in a matter of seconds. Consultants, and the farmer, can use this information to determine what feed and supplement products are needed to improve quality and quantity of milk production. All of this is done in real time. Animal feed discussions based on facts, and in many cases, consultants don’t even need to visit the farm! SCiO analyzes and stores all of the data in its secure cloud database. Using this powerful database, consultants can determine the best products for farmers and help them make intelligent decisions based on real, hard facts. By allowing consultants to see trends over time, as well as accurate analysis in real time, they can help farmers track the health of their livestock, react quickly to issues, and plan proactively for the future. The cost benefits are huge! Farms will be able to increase productivity, efficiency, and profitability and make changes in real time. 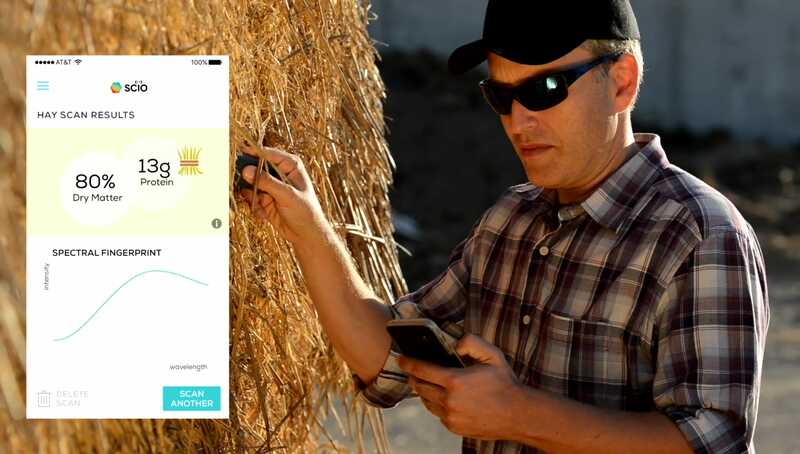 Using SCiO, farmers and consultants can personalize animal feed for each farm, each cow, each budget. Such data will increase the overall profit of farms – increasing yields, reducing feed costs and optimizing payment for milk produced – and help farm consultants become more successful into the bargain! Learn more about how SCiO can help farm consultants help farmers improve the health of their herd and the profitability of their farm. Contact Consumer Physics today.